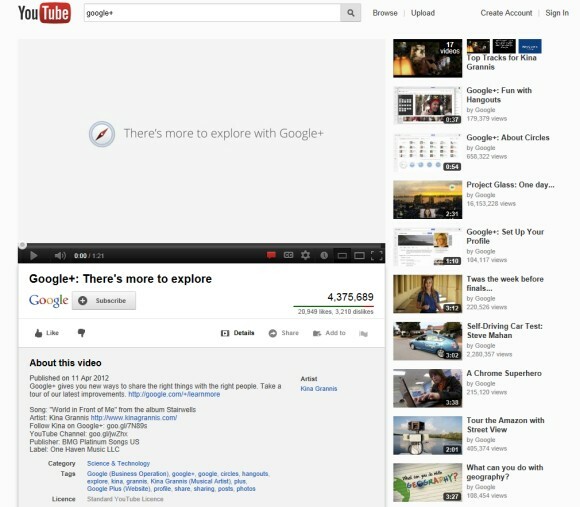 YouTube not only tests a new homepage interface, but also a new video page. In addition to the lighter background color, the experimental "watch" pages move the video title and the channel information below the video, make buttons less obvious and show more information about the video by default. 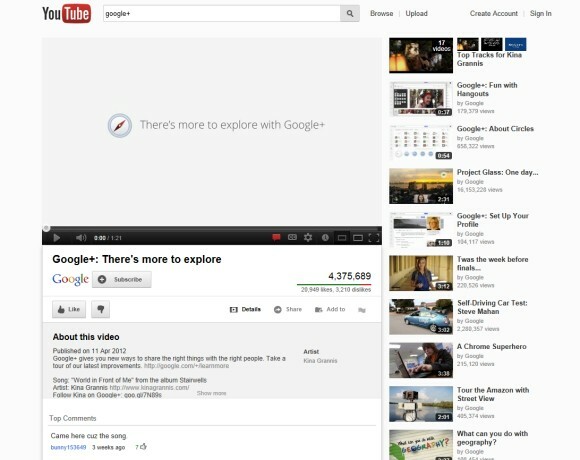 Google's search engine has already indexed many YouTube pages that used this interface at that time. Anyone notice that the "Movies" link is gone in this test? How can you activate it. Would love instructions like before. Maybe in a future update. It's all about the magic cookie ID that I don't know right now. Is there a way to get both of the new designs? Maybe there is, but I don't know one. I assume they're both part of a future YouTube redesign. I tried this once before and I got the new design. I then reverted back, but now I can't re-revert to the new design again for some reason. It's not bad, I don't like it. I just tried it and can't find the other videos by the same uploader. 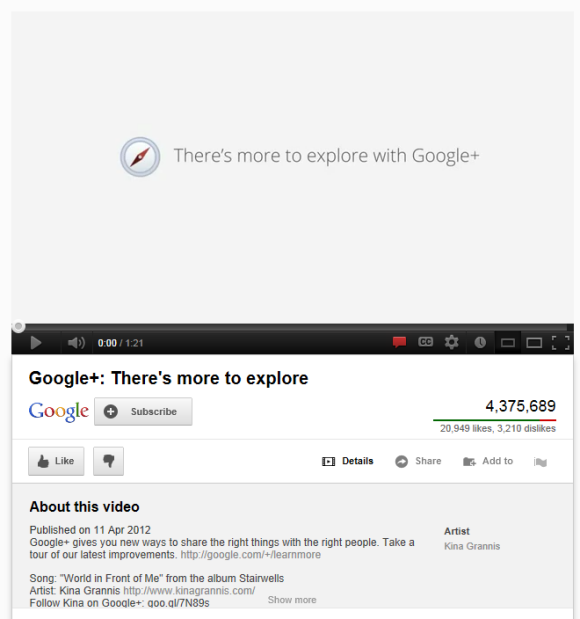 I still do not understand why they have totally removed the +1 button from YouTube pages! Are they testing it again? It's back. when i hover on subscribed there will be a bubble thing but it won't disappear. well it is a tiny bit different: the small partner banner thing on the videos has been removed, and some of the buttons above the comments have changed. Thanks for the instructions on disabling that. Once I get used to the interface, it's being changed. And I haven't found how to disable autoplay for playlists now and where is the link to playlists with all videos by a certain user. I find it harder on the eyes and kinda annoying. everything looks too much alike. Also I have added that cookie and got a new design. Little new thing for me.